Your new home at The Pointe at Dorset Crossing offers all the spaces, features, and functions you need to live in comfort and style. 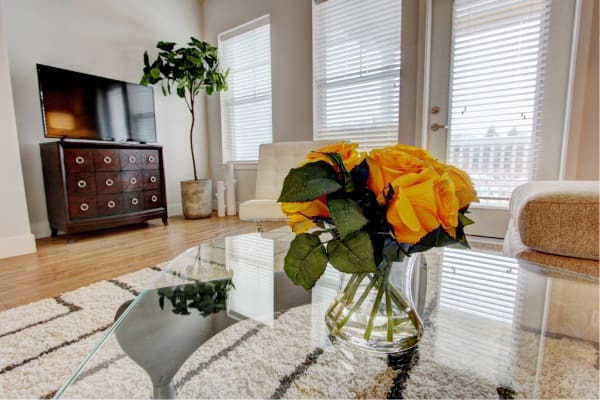 If you are shopping for a simple yet luxurious studio apartment for rent near Bradley International Airport, you will love our charming flats perfectly designed to provide just the right amount of space for you. Looking for a one bedroom apartment in Central Simsbury, CT? Our stylish singles are fully equipped with everything you need to keep up with your modern lifestyle. If you need a little more space to spread out and get comfortable, take a closer look at our gorgeous two bedroom apartments for rent. No matter which floor plan you choose, enjoy bright, spacious interiors and contemporary comforts throughout. Ready to explore your favorite floor plans in person? Call today to schedule a visit to our community. Our friendly onsite management team will be happy to show you around.